Welcome to the world of Ocampo’s short fiction, in which the strange and the fantastic so often erupt with surprising violence from the mundane and everyday. But seen through the eyes of a child, or perhaps some other character who is marginal to or not fully integrated within the events that unfold around them, the tone that the stories take is frequently at odds with the uncanny horrors that they relate. Ocampo depicts daily life as constantly susceptible to the emergence of sinister doubles, inexplicable cruelties, abrupt reversals, and sudden death. Take another example: “Voz en el teléfono” (“Voice on the Telephone”), which begins as a one-sided conversation in which the narrator, despite his reluctance (“I hate the telephone!” ), is explaining to his partner why the other day he was reluctant to light her cigarette. This involves a “history of matches” and takes him back to his childhood when, during his fourth birthday party, he and his fellow-toddler guests lock their mothers in a room and set the house ablaze. But the entire tale is told in such a matter-of-fact manner, and simply to explain a moment of social awkwardness. What’s more, having briefly described his last sight of his mother–“her face looking down, propped on the balcony balustrade” (202)–he shifts immediately to report on the fate of an antique Chinese chest of drawers that, “happily” was saved from the fire. Some of its carved, wooden figures, however, were damaged: not least one of “a woman carrying a child in her arms that looked a little like my mother and me” (202). The fact of looking “a little like” is key, I think. For what’s most uncanny about a double is that it is never entirely the same as its twin. What’s sinister about any resemblance is that it’s the same but somehow in a different key. Or more generally, for the most part the power of Ocampo’s narrative arises from the fact that it portrays scenarios that we can almost recognize, but not quite. And perhaps we can’t always quote locate with great precision the point at which things start go veer towards disaster, however much hints of the grotesquerie to come are embedded even in a story’s opening lines. Everything is just a little bit off from the start, and as such the stories reproduce the perspective of those who are already somewhat out of place: the girl tagging along with the seamstress; the suburban lower class in the fancy apartment; the child trying to make sense of the mother’s conversation; the woman making the best of a bad marriage; and so on and so forth. And by the end of it all you’re wondering who the real freaks are. In “La casa de los relojes” (“The House of the Watches”), for example–another tale told by a child–a party gets out of hand as a small mob decides to iron out the wrinkles in the local hunchback’s suit, and then by an irreproachable extension of the same logic, to iron out the hunchback’s back, too. All this is told in the form of a letter to a teacher, as a sort of “What I Did in My Summer Vacation.” It ends with the promise to write again once the author finds out what’s happened to the hunchback, followed by final salutation of warm regards from a “favourite student” (55). But what lessons are being learned when the whole world is apparently out of kilter and yet nobody quite seems to register the disarray? All this could be read as in part political allegory: “El vestido de terciopelo,” for instance, is set during the epoch of Juan Perón’s first presidency, and as such its combination of the uncanny with the threat of class-based violence reminds us perhaps of Julio Cortázar’s “La casa tomada.” (Christian Rodríguez makes this comparison here.) Likewise, both this story and “La casa de los relojes” might make us think of (Ocampo’s husband) Alfredo Bioy Casares’s collaboration with Jorge Luis Borges, “La fiesta del monstruo.” The mob, then, would be a specifically Peronist mob; and the dressmaker from the suburbs and her incongruously comic child sidekick with their deadly handiwork would represent the threat of the cabecitas negras to the housewives of the Barrio Norte. This is too crude (or too reductive), but it would still be worth considering the more general potential political charge of Ocampo’s stories, which is finely balanced between horror and sympathy for the marginal and the outcast. The fact that the “other” is never completely other, but perhaps just a degree or two distinct from “us,” can be (and often is) taken as a cause for elite anxiety or panic. In Ocampo, on the other hand, however she was fully part of that elite, there’s also the treacherous thought that the privileged and those who pass for “normal” deserve a comeuppance, that vengeance against them is never completely unjustified or misdirected, if not necessarily in the horrific form that they consistently seem to get it in her short stories. The furies, after all, are not entirely wrong. Gracias por publicar esto. Fue muy útil. 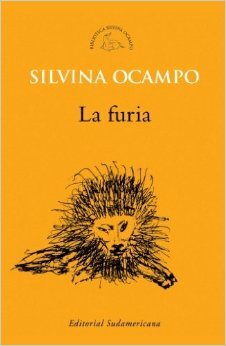 Estoy de acuerdo con su segundo párrafo sobre cómo Ocampo utiliza el grotesco en sus historias y todo es un poco “off”, desde el principio. un buen ejemplo de esto está en Mimoso: un situtation normal donde una familia está de luto por un perro, entonces cambia rápidamente en un situatuion extraño, pero comprensible con conseguir el perro embalsamado. Muy interesante.